The key to any thriving church is a leadership team that are passionate about ministry and the vision. At Living Word Outreach, we have gathered a staff that desires to see people reach their destiny as well as see transformation in the city of Wichita by the power of the Holy Spirit. Matthew and Dena Hudson have been married for 31 years. 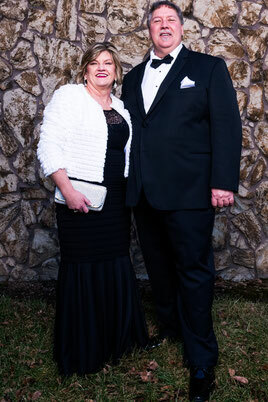 They are apostolic Pastors with a heart for the city of Wichita. They have labored in the city since 1988 and have a desire to see this city transformed for the Kingdom of God. Matthew and Dena have been married for 31 years and have 2 grown children; Melissa and Matthew. 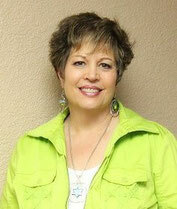 Donna Pinaire is the director of Bread of Life. She has served in that capacity since 2006. "I consider it a privilege to be used by The Lord as director at Bread of Life. To minister life to people by giving them hope and encouragement by providing food and clothing is wonderful but to see miracles happen, through answered prayers is out of this world! When people's lives are changed the joy is indescribable." Donna has been married to Fred for nearly 34 years and they have 5 grown children and 5 grandchildren. How we obtain that is through equipping our young people with great values and these strategies. PRAYER - Individual and corporate prayer where we are praying for each other, our city, and our country. WORSHIP - Individual and corporate worship not only through song but through dance in all aspects of our lives. WORD - Individual and corporate reading, teaching, preaching, life application: We take all of these and speak the Word into others lives through applying what we learned, utilizing it by ministering in all areas such as laying on of hands and working through signs, wonders and miracles, and walking out in every gifting each one has. Ares Zoglman has been the office administrator since January 2013. She started grant writing for Bread of Life in October 2017.